Reflective clothing, flashing tails, and and a bright headlight are essential to riding your bike safely at night. 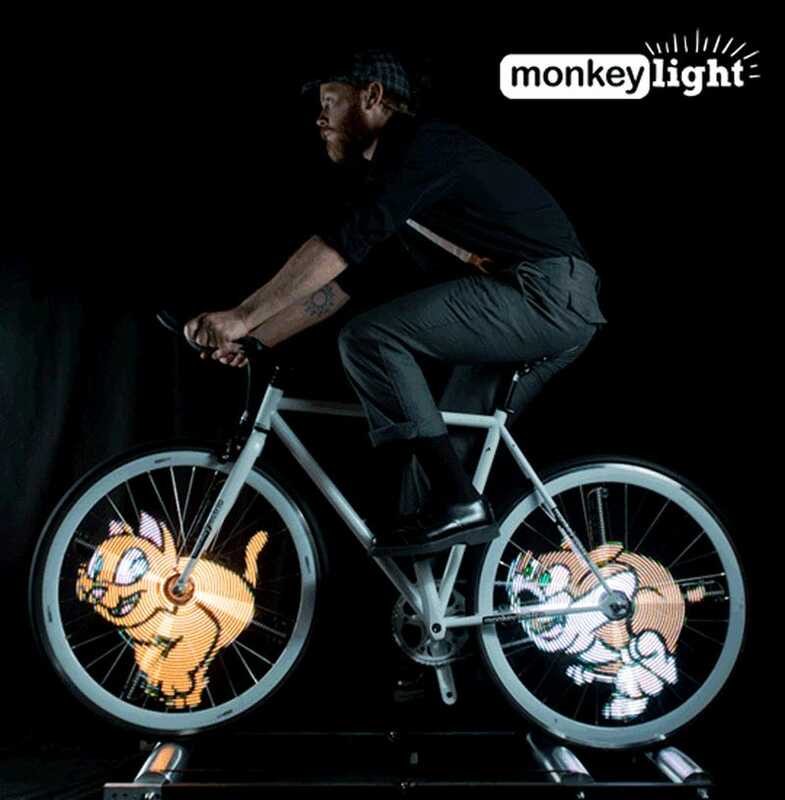 Similarly, a pair of GIF-flashing Monkey Light Pros are essential to riding your bike at night—like a boss. This currently-Kickstartered production utilizes a quartet of LED-impregnated bars that fit along the the spokes inside of your wheel. 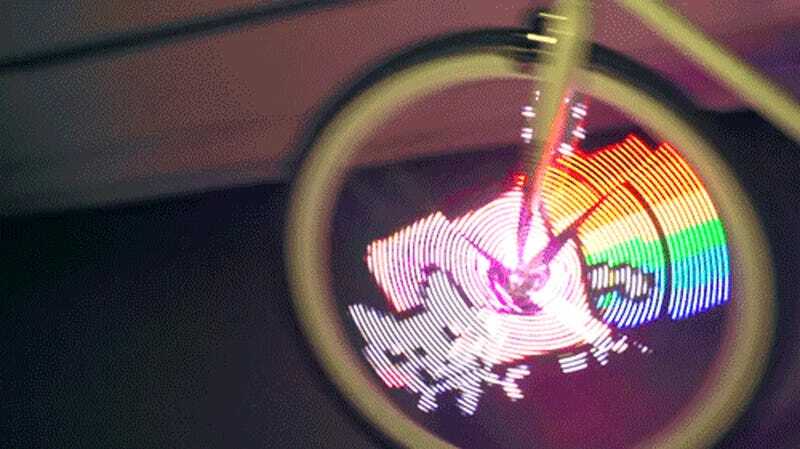 As the wheel spins, the bars rotate and generate the 256-color animated GIFs by exploiting the persistence of vision effect. This system also ingeniously incorporates a 2-axis accelerometer and four magnetic sensors to track rotational speed and direction, keeping your GIFs moving in the right direction in time with your pedaling (10 - 40 MPH). Each unit weighs just 500 grams and fits on a 26 to 29 inch rim using the standard 32 or 36 spoke pattern. The system can load up to 1000 frames in a variety of media formats (JPG, GIF, PNG, AVI, MPEG, MOV, QT, FLV) onto a web-based playlist for display. Users can also download the Mac/Linux API to create custom light shows though the system comes preloaded with 10 animations. The integrated 7000mAh Li-ion battery supplies 3 - 8 hours of power at full brightness (up to 48 hours on lower settings).